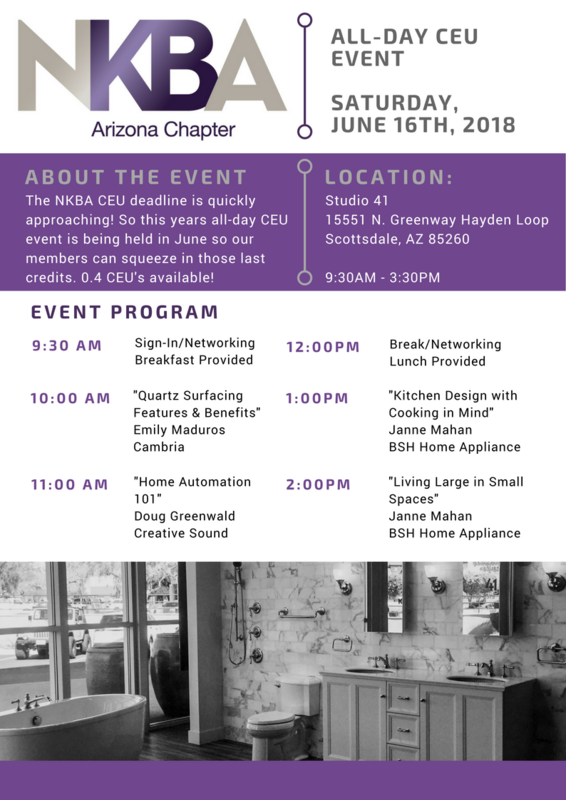 The mission of the NKBA Arizona Chapter is to provide a variety of unique networking and educational opportunities for the benefit of our local Arizona chapter members and the design community. 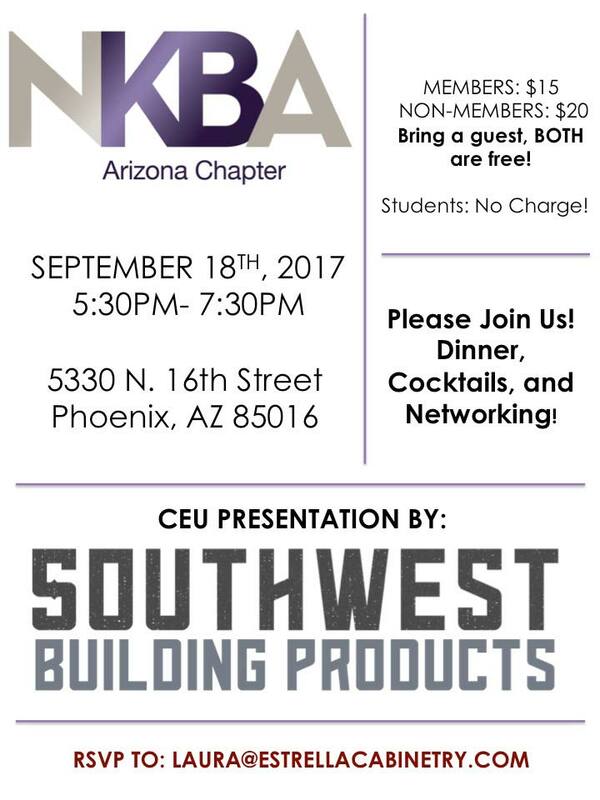 We invite you, whether you are a kitchen and bath professional, industry supplier, retailer, contractor or student, to join us. Please review our calendar and plan to come to one of our events in the near future. 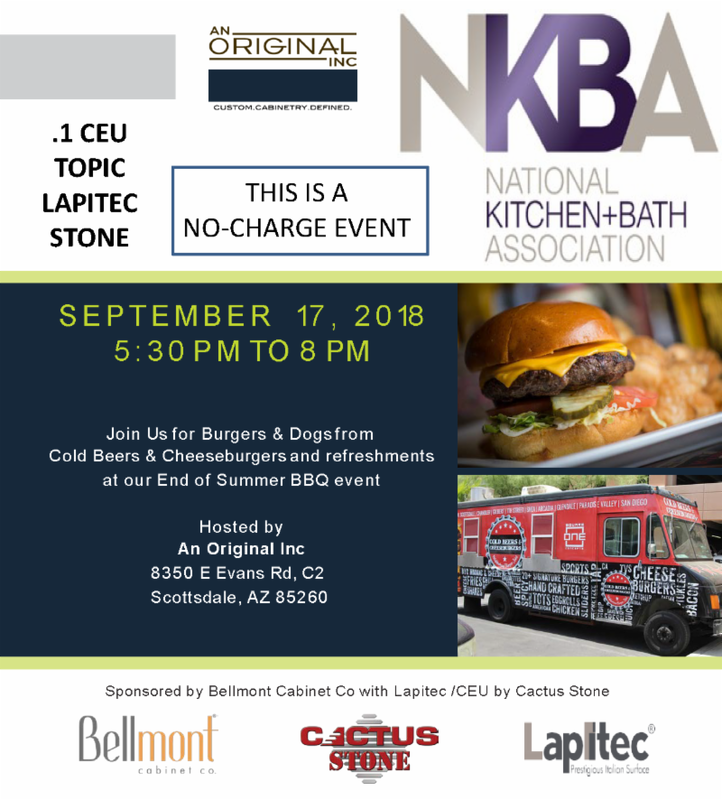 For over 50 years, the National Kitchen and Bath Association (NKBA) has worked tirelessly to promote professionalism and ethical business practices and provide leadership and direction for the kitchen and bath industry worldwide, while providing unparalleled opportunities for education to enhance member success and excellence. 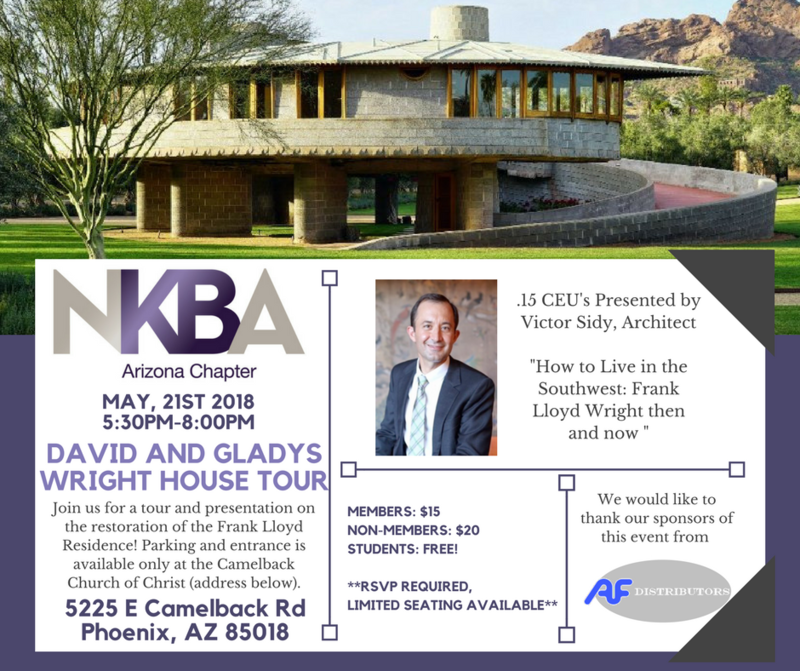 While the NKBA has grown to more than 60,000 members since its inception in 1963, that mission remains the same. 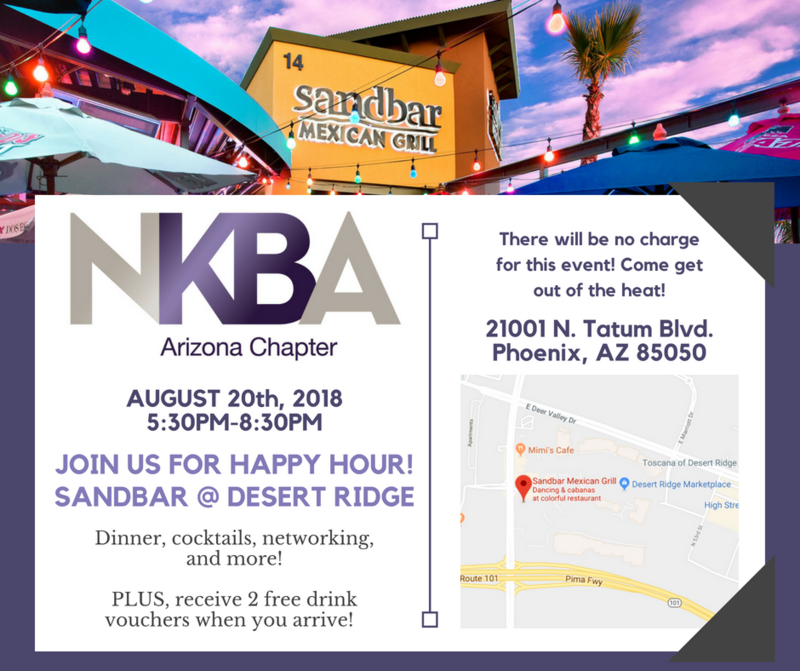 Today, the NKBA is a well-known and respected international not-for-profit organization providing leadership and vision for the $220 billion kitchen and bath industry. 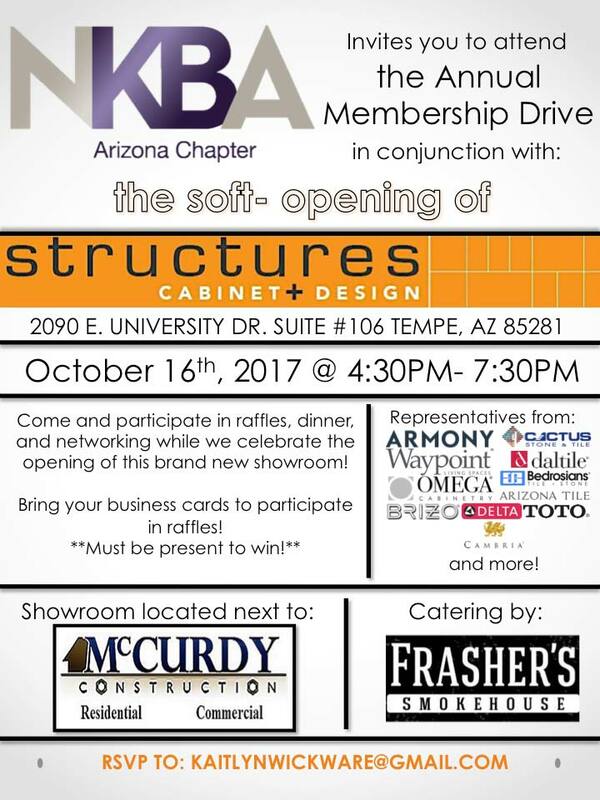 Click here to visit the NKBA Arizona website. 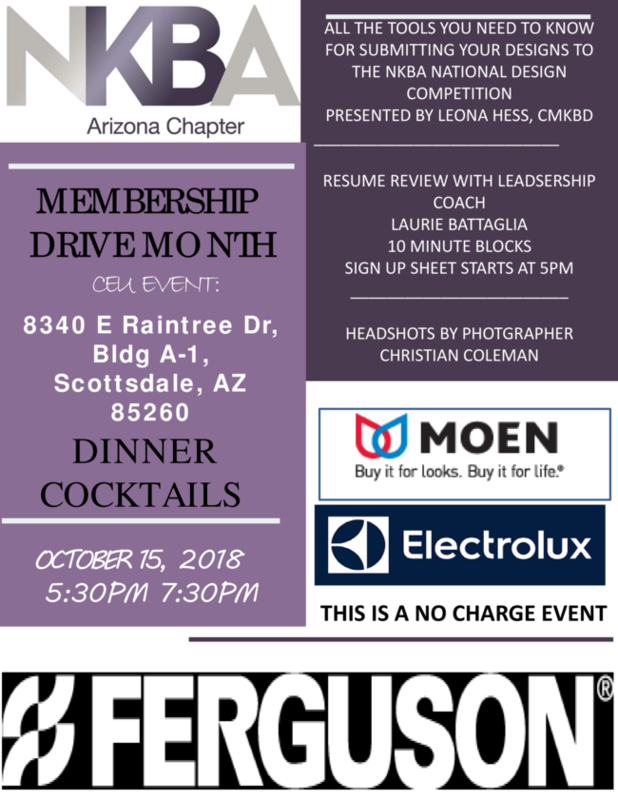 Ferguson is hosting our annual Membership Drive. 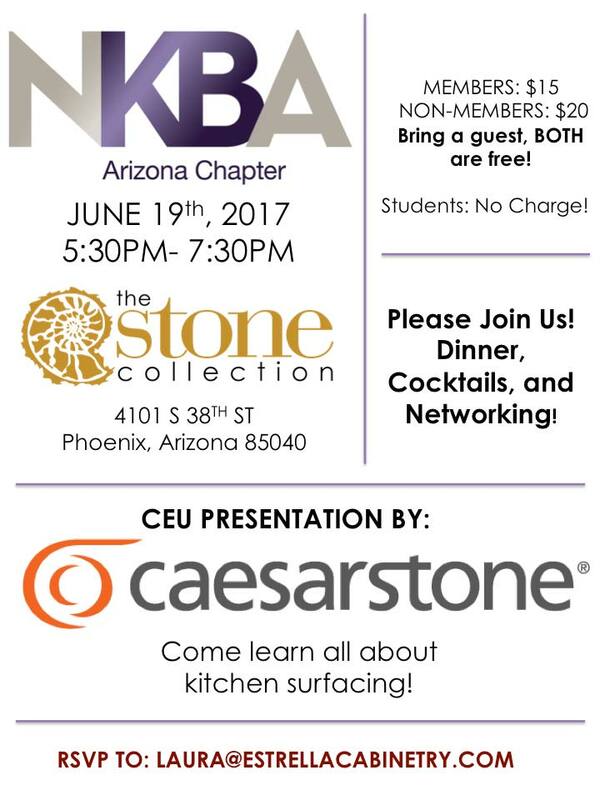 We are providing resume coaching, headshots, and information on submitting for NKBA competitions. 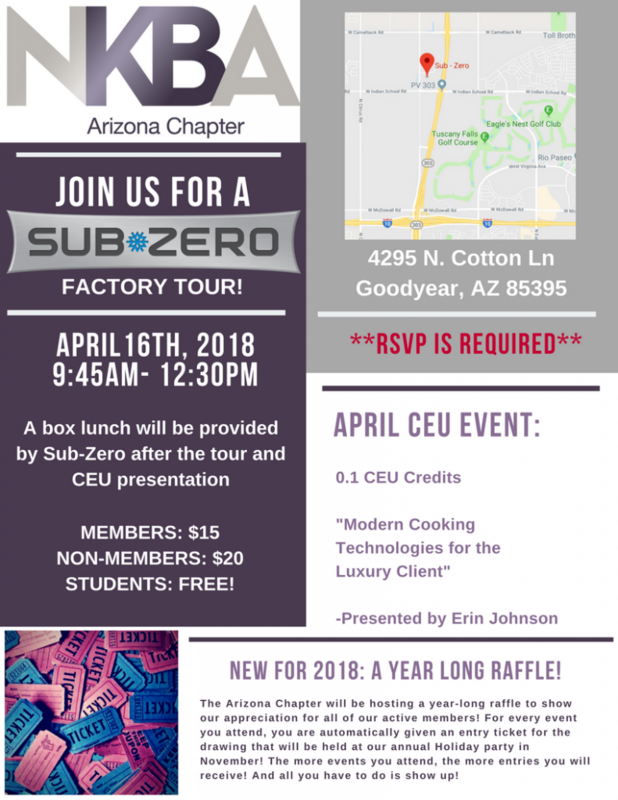 We will have a tour of the Sub-Zero factory, followed by a CEU presentation focused on modern technology for luxury clients, and a boxed lunch. This networking event will be hosted at Expressions Home Gallery, and will have .1 CEU credits available. 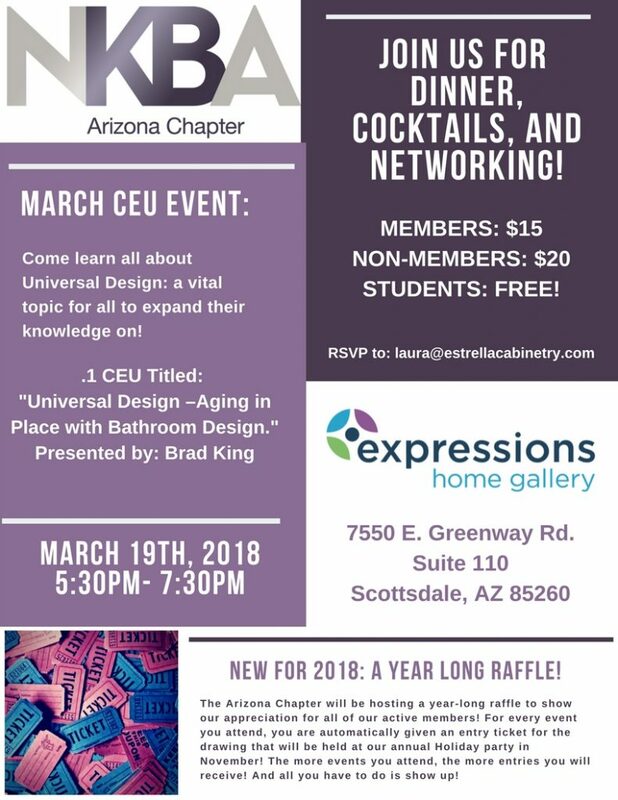 The CEU presentations will be on Universal Design- Aging in place with Bathroom design. 4 one-hour CEUs from Brizio, Hafele, Cambria and Bosch sales reps.
Library of vendor resources for the design community. Post KBIS event. Each board member had a task of learning about one specific part of KBIS and presenting.